Mr. William David Cannon is a triple threat. Not only is he an acclaimed and classically trained trombonist, he is a Grammy-winning Audio Engineer, as well as a Band Director and Brass Instrument Coach at a local high school. Cannon started his musical career in the national touring band “The Spurrlows” as Band Director and Trombonist. After a year of touring, Cannon wanted to further his knowledge of Audio Engineering, so he attended the Omega Studios’ School of Applied Recording Arts & Sciences right next door in Rockville, Maryland. After graduating in 1995, Cannon had the tools and professional training to take his career to the next level. In 2000, Cannon came across a gig to record Shirley Caesar’s newest Christmas album, “Christmas With Shirley Caesar“. 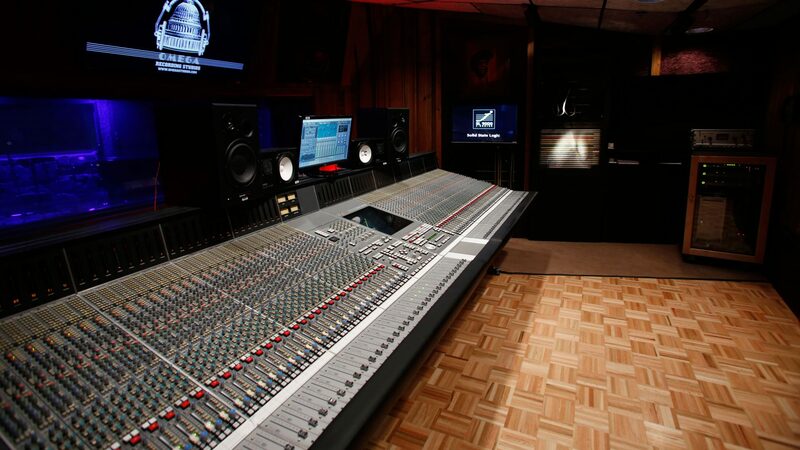 Cannon knew that Omega Studios has the space, gear and professional level of quality to make the album a hit, so it was decided to record in Studio A. After setting up a Christmas tree, lights, and a variety of other decorations, the session brimmed with possibilities. However, nobody knew just how successful the album would be. The album went on to receive a Grammy Award for Best Traditional Soul Gospel Album, and Cannon received a Grammy Certificate for recording it. After receiving the Grammy only 5 years after leaving Omega, Cannon would continue to work in the Music Industry as a recorder and a performer. After the Shirley Caesar album, Cannon was invited to perform at Wolftrap in Virginia with Aretha Franklin for a sold out show. It was at that show that he played alongside of the world-renowned trombonist Mr. Dave Steinmeyer. Cannon has had a long and successful performance career that includes playing with The Temptations, Roy Clark, Rosemary Clooney, Joe Williams, and Washington’s own Redskins Professional Band. In 2004 Cannon performed on the Rotoglow album “Life Like A Lightswitch”, where he was also credited as a writer. In 2012, Cannon was also invited to mix the “Best of Eva Cassidy” Album, which continues to see re-releases. William David Cannon has had a long and successful career, and he continues to perform and record to this day. Omega Studios is proud to have had the chance to teach and work with such a talented artist and engineer and we wish him luck on his future endeavors.